When you handle an accurate, up-to-date and well-mannered Amazon product listing assist you in improving the search results of your products, associating and leading your prospects to increase your sales. Digital SEO solutions offer a spectrum of Amazon listing services as part of which our professionals assist in uploading products, categorize the items accurately and uploading all the relevant data and product description together with edited and enhance product images to Amazon. We, at Digital SEO solution, can allow each product to the appropriate category and manage all attributes as your visitors can easily search your products. We are offering a large amount of product upload services for all widespread online shopper, retailer, and online store. Not only uploading a single product but also offer bulk uploads to multiple products simultaneously. The inventory management system can automate the data process, confirm and offering a one-stop solution that simplifies your orders, navigation, and on-time deliveries. It can help your deals and withhold from being out of stock. Our Digital SEO solution is offering retail photo editing services for a wide variety of spectrum that includes apparels, automobile, jewelry, food, real estate and more. We have a skilled and dedicated team helps to remove unflattering backgrounds, bad lighting, distractions, and color flaws from original photos. Our e-commerce specialists, catalog managers, QA, and back-office support experts are capable of managing your Amazon store completely and keep the catalog up-to-date and providing an excellent online shopping experience with the best data management services. Simplifying selling process over the marketplace with the help of our Amazon catalog management services including, handling an organized, up-to-date, and informative products catalog, making SEO-friendly, informative content, delivering the best experience with the well-mannered check-out process and many more. Availing the accurate Amazon template can set up your inventory file easily that is based on your product type. We assist to select the right template for your product and enter in data properly. Why You Working With Us? Digital SEO solutions has a well-experienced and skilled team of product management who support the clients with efficient Amazon product listing services. By using the latest and advanced tools like Turbo Lister, Blackthorne, Vendio, and Amazon Bulk listing tool, we can manage huge product listings on Amazon. You can provide your information to us via print or digital catalogs, the web address of the supplier. Your privacy is our topmost priority and hence it will be ensured. Our professionals are capable of developing and handling huge product lists on Amazon that allows the clients to bring in a higher level of flexibility, and control. Our offshore solution is available at your services and accessible 24×7 via email, messenger and Skype. Digital SEO solutions take care of your product listings on Amazon. 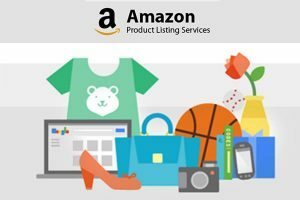 So, get a professional Amazon listing and update services for your products that will help you to expand your visitor base and increasing sales.